first trade edition, 5.5 X 8.5, 232 pgs. In An Elevator With Brigitte Bardot is an irresistible collection of personal essays in which Michael Lee's characteristic humor and compassionate insight revolves around the experience of daily life in Cape Cod. Framed by broad-interest essays that travel far afield and far abroad, the appropriate center of these appreciations is a seasonal round informed by place. But Lee's sense of place is not provincial. He always finds the extraordinary in the ordinary, the universal in the local, narrows down soas to expand and open. Lee's achievement here in the short essay form is as remarkable as his achievement in short fiction with his debut collection, Paradise Dance, published by Leapfrog Press (2002). Read them both and marvel. Each essay is only a few pages long, yet each strikes the heart of its topic with a deft flick of the wrist. A teasury to savor a bit at a time, or all at once. I see Michael Lee once a week for therapy. Believe me, I earn every dime. 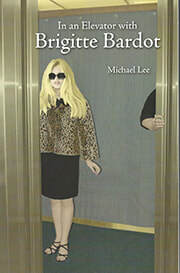 Michael Lee's In An Elevator With Brigitte Bardot is by turns melancholy and hilarious, sweet and bittersweet, a gift of hard-won wisdom and wry observation from a shrimp header, soundboard man, delivery driver, short-order cook, bricklayer, fisherman, soldier, back trap hauler and self-described dyslexic carpenter who is first and foremost a writer of enormous gifts. If there is such a thing as painful joy, Michael Lee is its voice. — Thomas H. Cook, Edgar Award winning author of Red Leaves, Peril, Into the Web, among others. Gold, silver and bronze—Barry, Keillor, Lee—though not necessarily in that order. With In An Elevator With Brigitte Bardot, Mike Lee steps into the national circle of champs. He makes it look so easy...he'll make you chortle and chuckles before surrendering the last of your cool in a boil of laughter all the while your mist-eyed heart sputters, He's right! He's got it! That just exactly it! More, Mr. Lee! More! In swift language woven with sparkling metaphors, Lee's wry, sometimes zany observations dissect the human comedy in ways that are ironic but seldom bitter or satirical. Lee has a big heart, and he sees the good in almost everything; or if not the good, at least the humor. If there is one thing we need more of in this sadly fracturing world, it is laughter. Michael Lee's In An Elevator With Brigitte Bardot provides a whole lot of laughter and plenty of food for thought. Michael Lee has held an array of jobs that now seem standard in a writer’s profile: construction worker, shrimp peeler, commercial diver, short order cook, drummer in a useless band, bartender, and cemetery lawn mower. He began his writing career at age 16 with short humor pieces for Skin Diver Magazine. While serving with the Marine Corps at Khe Sanh in Vietnam, Lee also wrote dispatches for Stars and Stripes and his hometown newspaper in Framingham, Massachusetts. He holds a B.A. from the University of Massachusetts at Dartmouth and an M.F.A. from Emerson College. Currently, Lee is the Literary Editor of The Cape Cod Voice and the director of the annual literary soiree, “New Works Weekend,” in Orleans, Massachusetts. 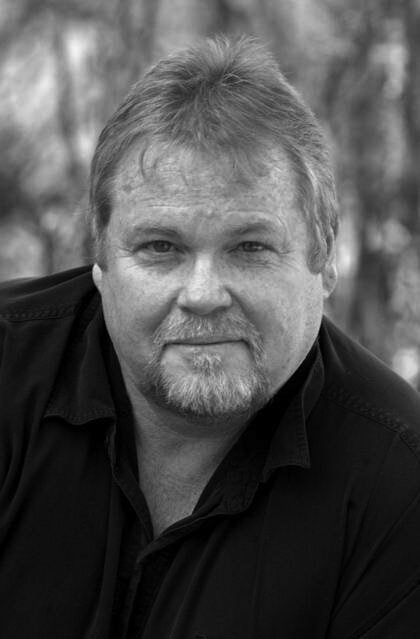 Lee is a member of the Writer’s Guild and the National Book Critics Circle, and his collection of short stories, Paradise Dance, was published by Leapfrog Press in 2002. He lives on Cape Cod with his wife Julia and is currently working on a novel.